Messika Move Noa 18-karat gold diamond bangle, at net-a-porter.com. 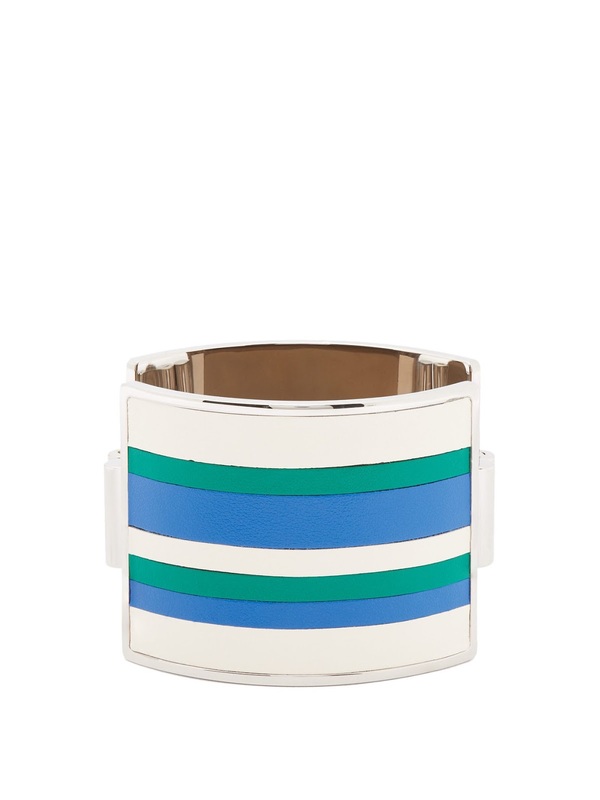 Marni striped leather cuff, at matchesfashion.com. 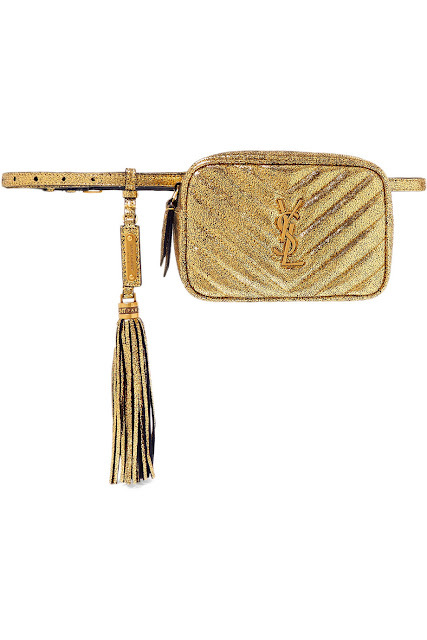 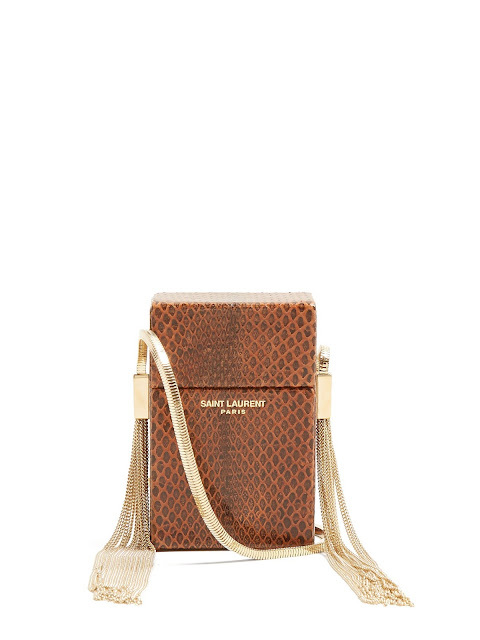 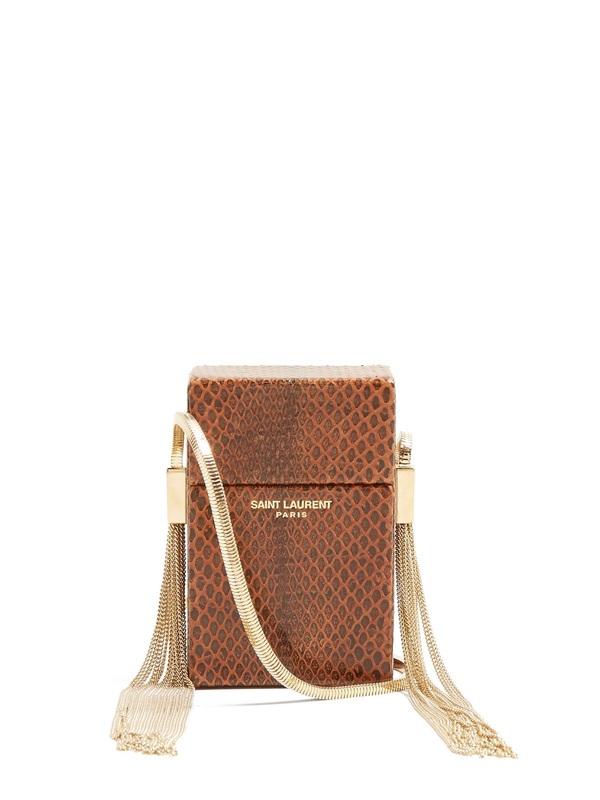 Saint Laurent Lou quilted metallic cracked leather belt bag, at net-a-porter.com. 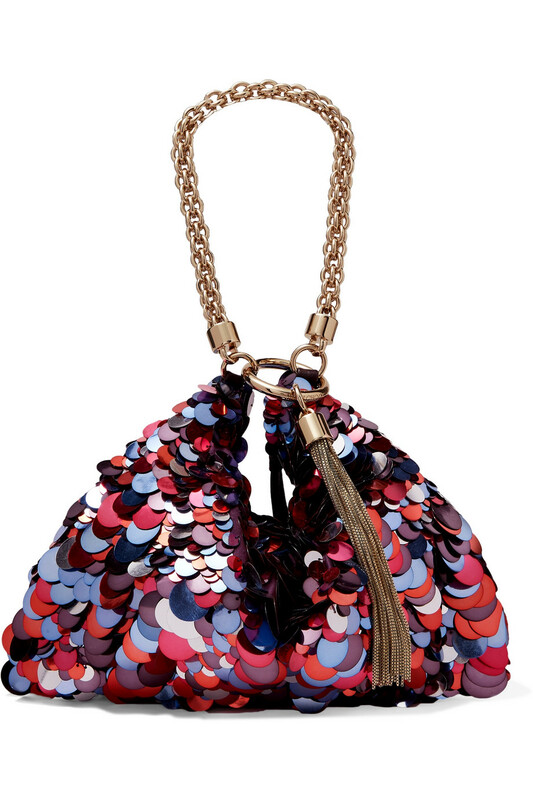 Jimmy Choo Callie paillette-embellished suede shoulder bag, at net-a-porter.com. 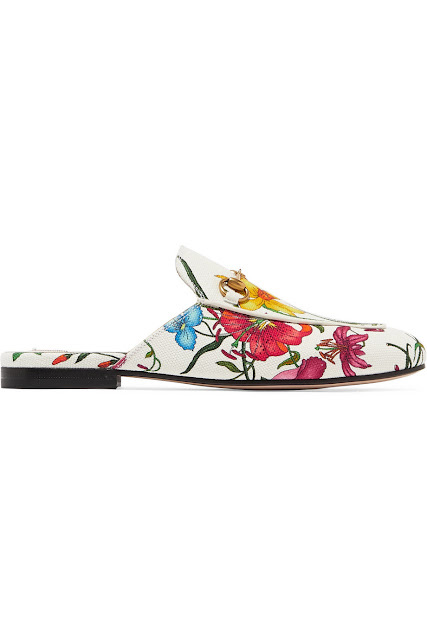 Gucci Princetown horsebit-detailed floral-print canvas slippers, at net-a-porter.com. 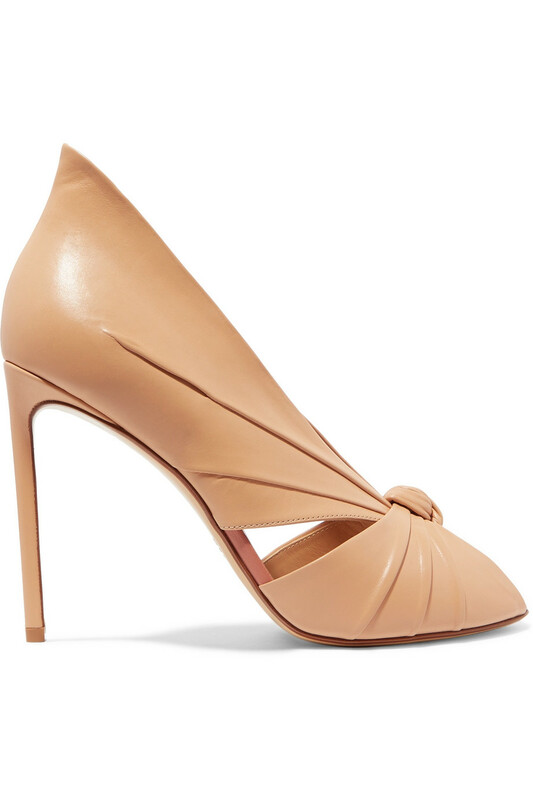 Francesco Russo knotted leather pumps, at net-a-porter.com. 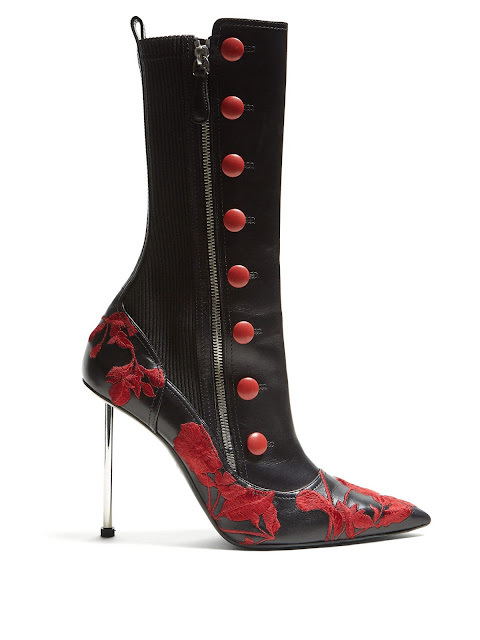 Alexander McQueen flower-embroidered leather boots, at matchesfashion.com. 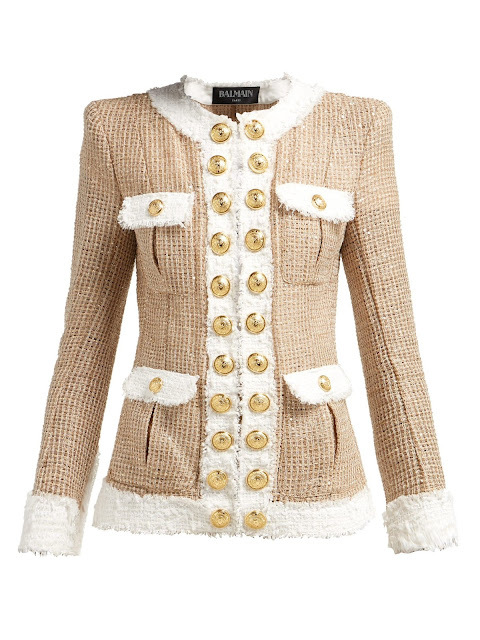 Balmain contrast-trimmed tweed jacket, at matchesfashion.com. 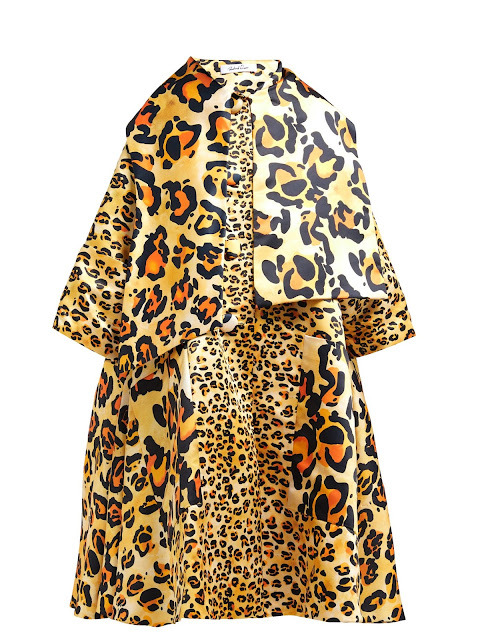 Richard Quinn leopard-print satin opera coat, at matchesfashion.com. 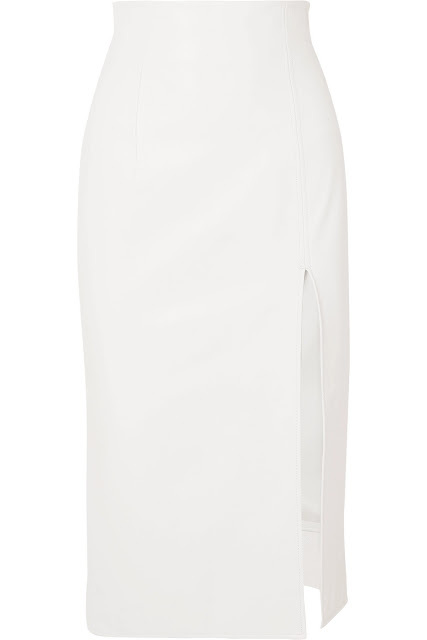 16Arlington leather midi skirt, at net-a-porter.com. 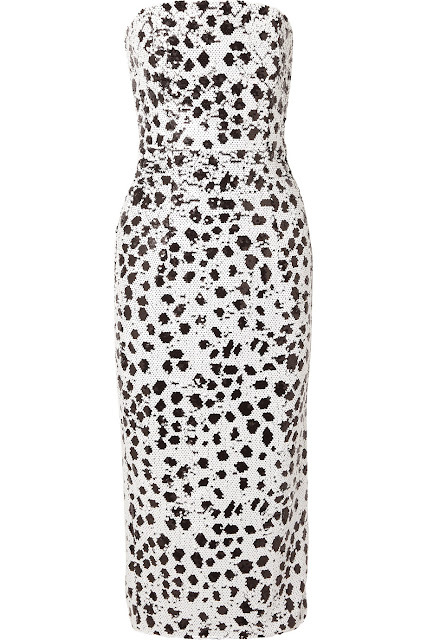 Marissa Webb Andrea silk print dress, at revolve.com. 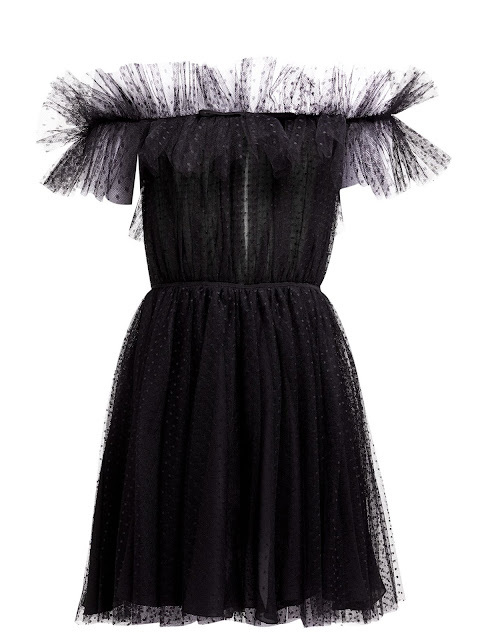 Giambattista Valli ruffle polka dot tulle dress, at matchesfashion.com. 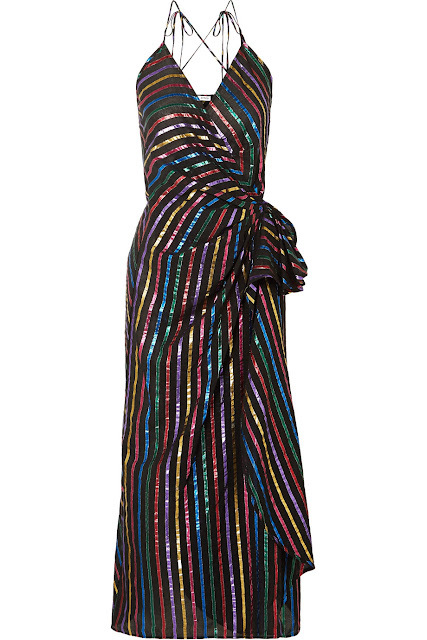 16Arlington strapless sequined crepe dress, at net-a-porter.com. 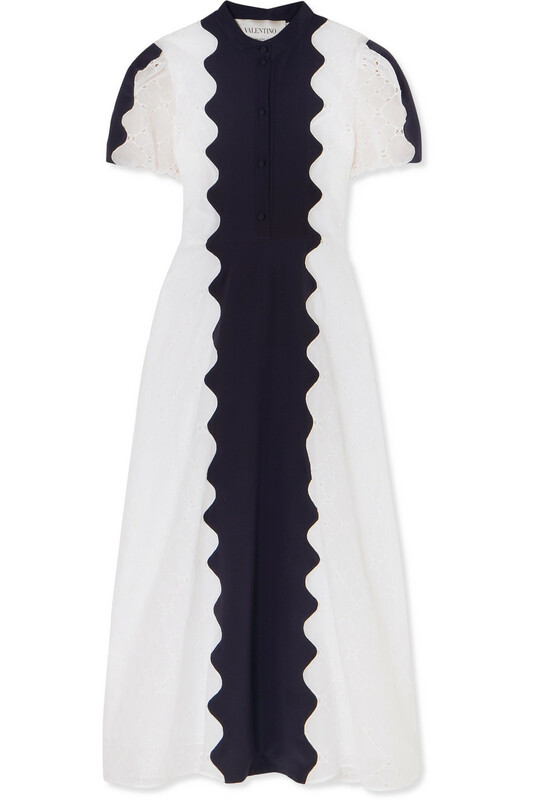 Valentino paneled broderie anglaise cotton-blend and silk-crepe midi dress, at net-a-porter.com. 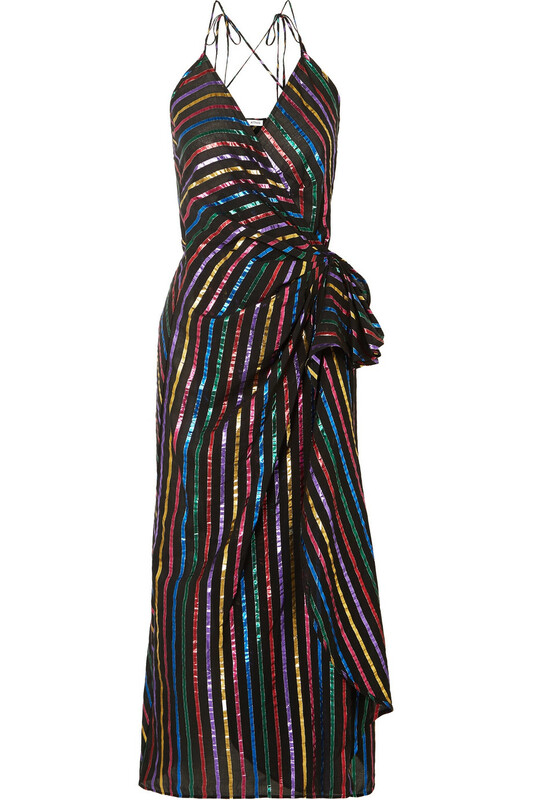 Attico metallic striped jacquard wrap dress, at net-a-porter.com. 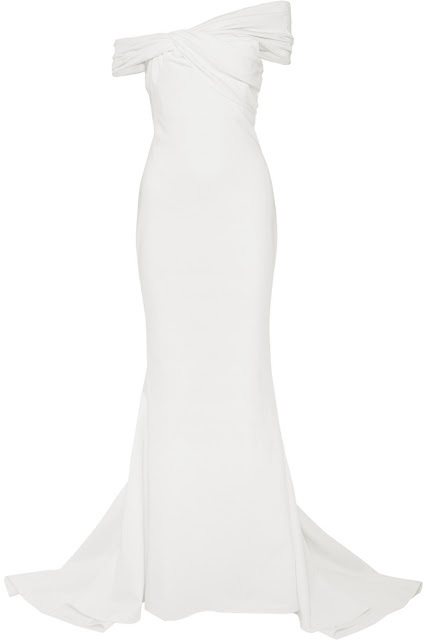 Cushnie off-the-shoulder crepe gown, at net-a-porter.com.